Our Bournemouth care home, the Retired Nurses National Home run by charity Friends of the Elderly, has welcomed a hive of bees to the grounds of the home. The swarm, which contains approximately 1500 bees, is being cared for by staff at the home with support of the local beekeeping association. The residents are able to see the hive in the garden and have been taking a great interest in the bees, what goes in to beekeeping and how bees produce honey. 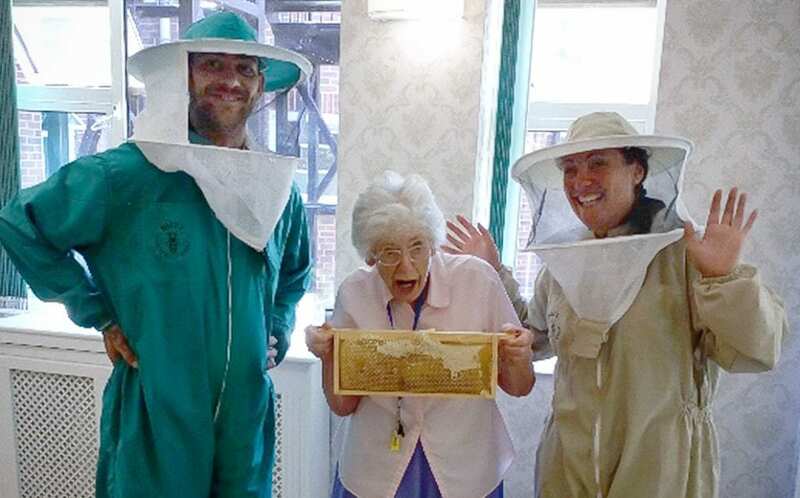 A local beekeeping expert has been a great support for our Bournemouth care home team and has given talks to the residents as an introduction to beekeeping.